Need just a little extra storage space? Need it now? 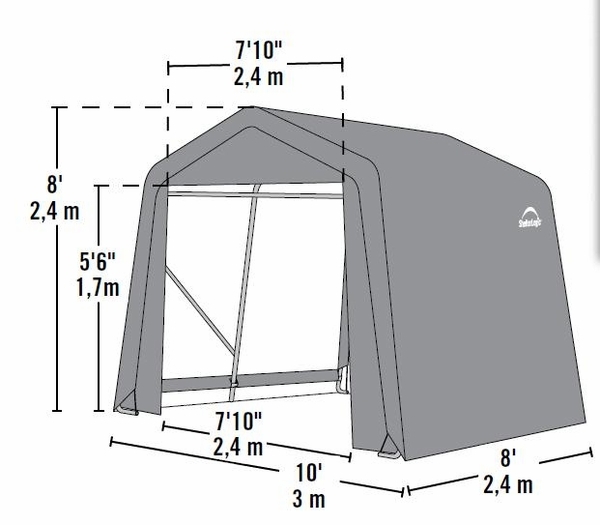 Shelter Logic has the answer with this 10 x 8 x 8 peak-style canopy. Perfect for storing your yard equipment or other outdoor supplies, the tough UV-treated commercial-grade cover will ensure your assets stay dry and protected. Sturdy 1 5/8" diameter steel frame is reinforced with ShelterLock stabilizers and bolt-together connection points. The special Rachet Tite tension system and Easy-Glide Slidding Cross-Rails make sure the cover stays tight and smooth. 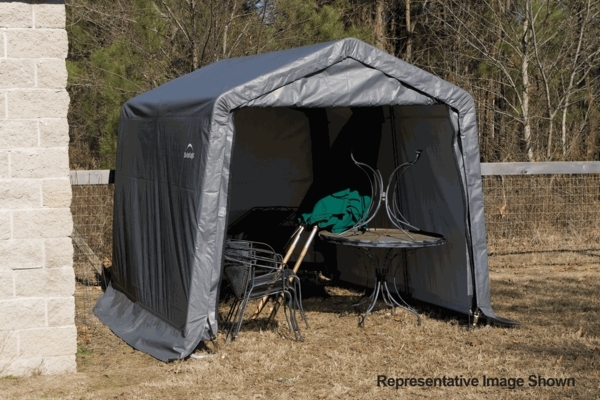 And, the front and rear zippered doors offer the finishing touch to a perfect, portable shelter.